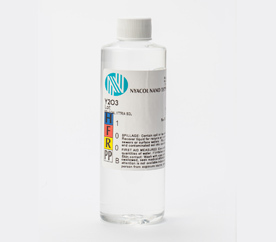 NYACOL® offers colloidal yttrium oxide as a transparent colloidal sol in water and as a 100 nm sol in hydrocarbon. The materials find use as binders in investment casting, and as additives for sintering control and modification of electronic ceramics. 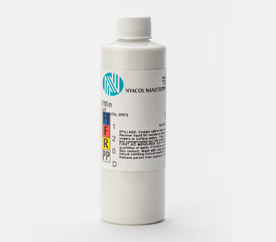 Can be used as an additive for dielectric applications in MLCC manufacturing and high temperature vanadium scavenger. For use as a sintering aid for silicon nitride and other ceramics, as a stabilizer for zirconia ceramics, for producing a transformation toughened alumina ceramic, as a high temperature binder for ceramics and fibers, and as a core wash for titanium investment casting.